Last year’s winner, Alex Cook, went on to receive a certificate of Merit at the Prestigious N E Rowe award in London presented by some of the most senior people within the Royal Aeronautical Engineering Society. The Boscombe Down Committee would like to encourage you to take part in what will be a challenging but thoroughly worthwhile and engaging experience. 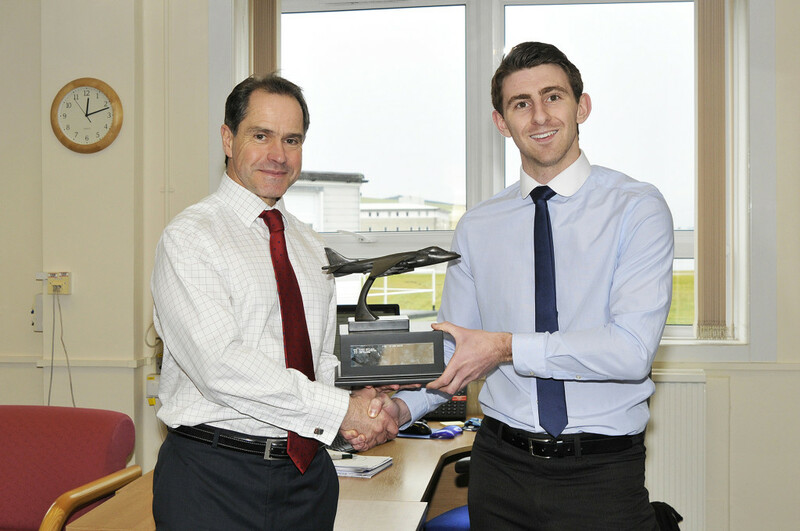 The 2015 Joe Morrall Young Members Award was awarded to Alex Cook, seen here receiving his award from Doug Gale (QinetiQ’s Engineering Director and member of the Joe Morrall judging panel).